Statewide Adult Smoking Rate Saw Decline of 22 Percent from 2011. Albany, NY - February 21, 2018 - Governor Andrew M. Cuomo today announced that the adult smoking rate has fallen to the lowest in New York State's recorded history as a result of the state's wide-ranging tobacco cessation and prevention efforts. The statewide adult smoking rate is 14.2 percent as of 2016, a 22 percent decline from 2011 and below the national average of 15.5 percent. Poor mental health -- defined as reported problems with stress, depression or emotions on at least 14 of the previous 30 days -- where the smoking rate decreased 20 percent - from 32.6 percent in 2011 to 26.0 percent in 2016. Governor Cuomo previously announced that the high school student smoking rate fell to an historic low of 4.3 percent in 2016, down from 27.1 percent in 2000. However, the Department of Health also found that e-cigarette use by high school students increased from 10.5 percent in 2014 to 20.6 percent in 2016. In 2017, Governor Cuomo signed legislation banning the use of e-cigarettes on school grounds and adding e-cigarettes to New York's Clean Indoor Air Act. In addition, Governor Cuomo's 2019 Executive Budget proposes a health tax on vapor products of 10 cents/milliliter and would require retailers selling vapor products to register with the Department of Taxation and Finance. New York State Department of Health Commissioner Dr. Howard Zucker, said: "Under Governor Cuomo's leadership, New York State has made great strides in reducing tobacco use, which is the number one preventable cause of death and disease in the state. We must continue to work together to educate the public, encourage smokers to quit and prevent tobacco use in New York State." Since 2000, the Department's Bureau of Tobacco Control has implemented a comprehensive program to reduce illness, disability and death from tobacco use through proven policy, health systems change, and health communication (media) strategies. Some of the proven policy strategies that have led to substantial progress in New York include having the highest state tobacco tax in the nation, comprehensive clean indoor air laws that restrict smoking in most work areas including bars and restaurants, and strong enforcement of laws that restrict minors' access to tobacco and protect New Yorkers from secondhand smoke. The Department of Health works with health care systems such as hospitals and federally qualified health centers to integrate cessation interventions into the routine delivery of health care. In this systems-based approach, clinicians assess every patient for tobacco use at every visit, and provide aggressive evidence-based tobacco dependence treatments including counseling and medications, which are effective across diverse populations. New York State expanded Medicaid smoking cessation benefits so that all seven FDA-approved cessation medications are covered by all Medicaid plans for all enrollees. Limits on the number of cessation attempts per year were dropped as were requirements for pre-authorization. Two medications can be used at one time, an important strategy for permanently beating nicotine addiction. The Department of Health's mass media campaigns, including this recent ad, are proven to deglamorize tobacco use and accurately depict the negative consequences of tobacco use. 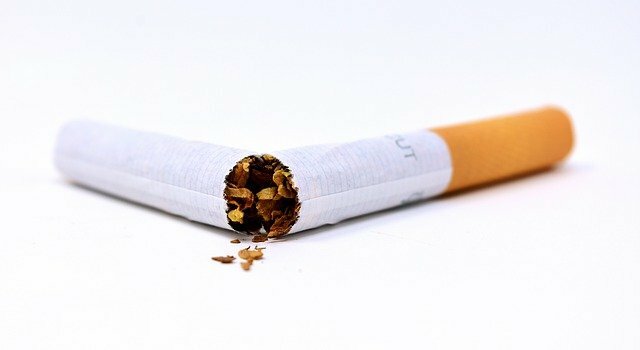 As a result of these campaigns and population-based initiatives, quit attempts are at their highest level in the last two years with 64 percent of smokers making a quit attempt in 2016 compared with 46 percent in 2003; smokers report receiving higher levels of assistance from their health care providers with 53 percent of smokers given evidence-based assistance compared with 37 percent in 2003; and the Medicaid benefit utilization rate increased statewide from 17 percent in 2011 to 24 percent in 2015. For more about The New York State Department of Health's Bureau of Tobacco Control Program, click here. Subject: LongIsland.com - Your Name sent you Article details of "Governor Cuomo Announces Lowest Adult Smoking Rates In New York State History"